For the final day of Making drinks with one ingredient, I had opted for Chocolate. So after seeing how to make Hot Chocolate and Hot chocolate with Orange, this was one daring attempt. Infact if Konda didn’t encourage me to make it, I would defenietely not even thought about it. Yes, this Hot chocolate was with Red Chili powder and Cinnamon sticks. I read about this in couple of websites and each had done it differently, though the ingredient combination was chocolate and chili. So I thought I would simmer the drink with the spice and let it steep in for a while. Konda didn’t let me off the hook and said I ought to drink it myself. I was so happy in finally trying out so many versions of chocolate drink. With this being a standard ingredient found in my pantry all the time, no harm in experimenting with different combination. 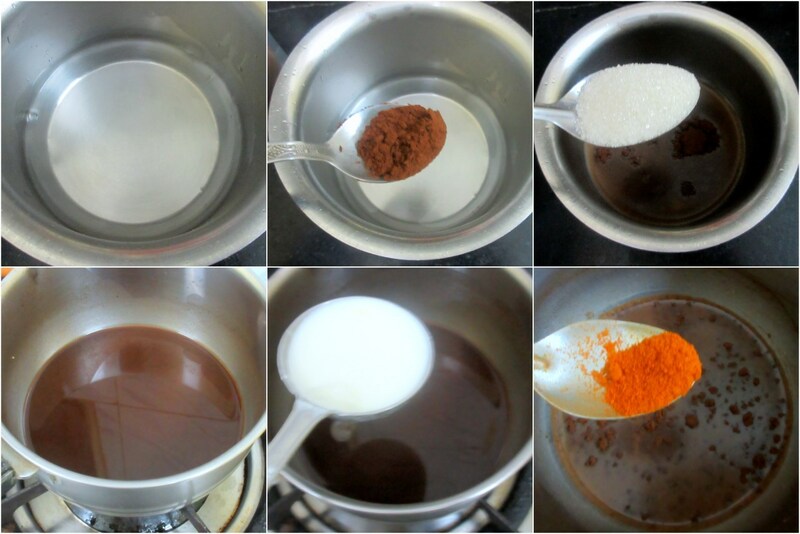 In a pan, bring the water to boil, remove and add the cocoa and blend well. Then add the chili powder, cinnamon stick and put back on flame and simmer for 5 mins, stirring well. slowly add the milk and stir well. Simmer for 2 mins, stain out the cinnamon stick, warm over low heat before serving hot with chips and cream. The chocolate chips were supposed to be boiled, so that it melts, I added few in the first stage, rather added more in the final stage as we felt the chili will surely hit hard. The cinnamon is a good hint, while chili really hits straight. It sure is a ultimate combo , but definitely needs guts ! Fantastic Valli ! I am yet to try the chocolate chilli combo .your post is tempting me to try it. 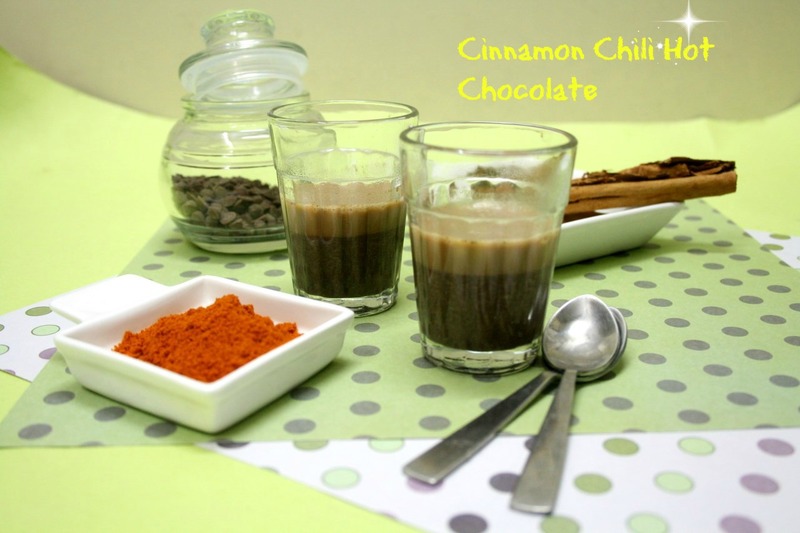 I have tried a chilli pastry but never a chocolate drink….sounds interesting. Bookmarking this! Just love this chilly touch in this chocolate, loving it to the core. 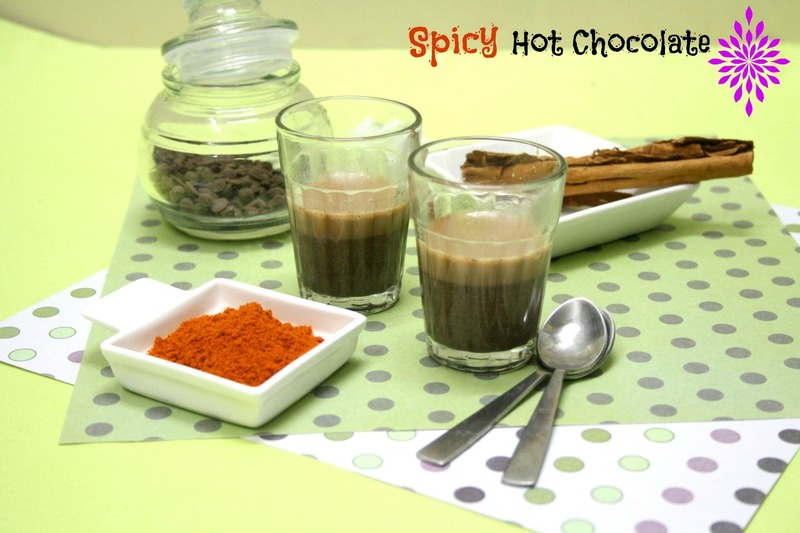 spice in hot chocolate.. sounds interesting.. need to give it a shot. I have eaten chocolates with chili but never tried it hot chocolate. Should kick start us in winters. I've heard and seen a lot of chili spiked chocolates, but never dared to try it myself. Will have to try this one out some time. 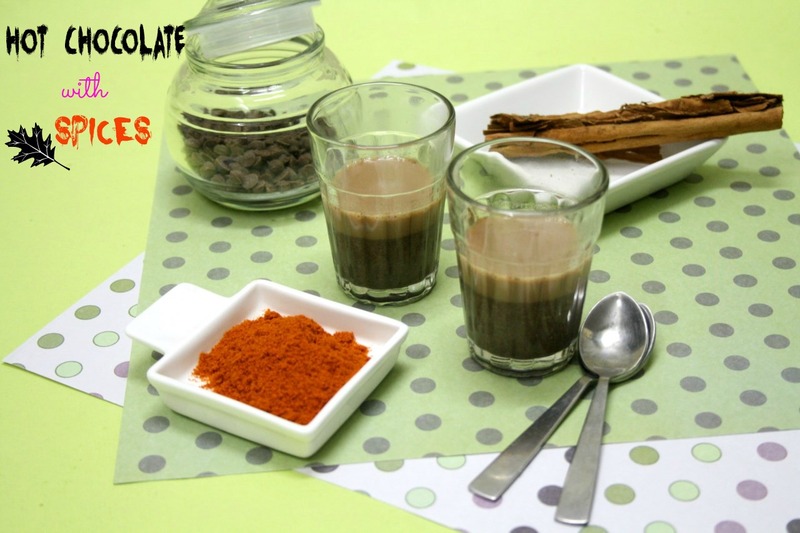 I have heard of this combination of chilly and chocolate but have never tried them personally. Looks like I need to try..
Hmmm spicy hot chocolate? Never heard that before.